SAN FRANCISCO, CA: One year after inking a deal with coffee giant Starbucks, the world’s largest beer company is making another investment in the non-alcoholic beverage segment. Anheuser-Busch InBev today announced plans to acquire Hiball Inc., a San Francisco-based beverage company founded in 2005 that markets a range of caffeinated beverages, including energy drinks, sparkling waters and cold brew coffees. The company also makes a line of non-caffeinated juices and seltzers, called Alta Palla. Specific financial terms were not disclosed, but Anheuser-Busch CEO João Castro Neves said his company would purchase 100 percent of Hiball Inc. in a deal that would be structured to include earn-outs and various growth incentives. The two companies expect the transaction to close during the third quarter of 2017. The purchase comes about 14 months after A-B agreed to manufacture and distribute a ready-to-drink version of Starbucks’ popular Teavana product. In an interview with Brewbound, Castro Neves said both the Hiball investment and A-B’s partnership with Starbucks are part of a broader strategy aimed at “growing beyond beer” and a “desire” to advance the company’s position in the non-alcoholic space — a process that began about two years ago. 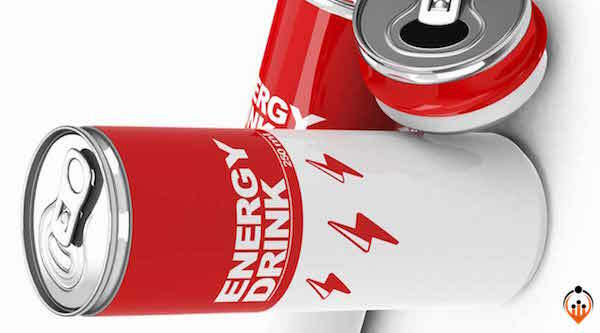 According to data from market research IRI Worldwide, sales of energy drinks were up about 4 percent during the 52-week period ending May 14. Sales of sparkling waters and teas, meanwhile, were up 16 percent and 7 percent, respectively, during the same period. The acquisition of Hiball does more than give A-B a foothold in the growing energy and sparkling water categories; it enables the beer company to supply its nationwide distributor network with a broader array of non-alcoholic offerings, particularly an energy drink, something wholesalers lost in 2014 when Coca-Cola paid more than $2 billion for a 16.7 percent stake in Monster Beverage Corporation. As part of that deal, Coke and Monster amended their distribution agreement in the U.S. and pulled the energy drink brand from many A-B wholesalers who had played a key role in growing sales at independent retailers and on-premise accounts. In the press release, David Stokes, the CEO of Grey Eagle Distributors and the chair of A-B’s wholesaler advisory panel, praised the deal, calling Hiball a “great addition” to his company’s “developing” non-alcoholic portfolio. Castro Neves stressed, however, that the purchase of Hiball wasn’t driven by a need to “replace” Monster in the A-B network. Instead, he said, it was a strategic move aimed at complementing A-B’s already expansive beer portfolio. “The fact that the A-B network did so well — and according to everyone I spoke with, they are part of the explanation on Monster’s success – it gives me the confidence, that if we have done it once, we can do it twice,” Castro Neves said of bringing a non-alcoholic beverage brand to market. “High growth and high margins is something that they [wholesalers] look for, and therefore I think it will be a win-win for all of us,” he added. Hiball is distributed in 50 states with a mix of natural products distributors, including UNFI and KeHe, Berardi told Brewbound. A-B is planning a “phased transition” of Hiball brands into its network, but an official timeline was not disclosed. Hiball’s products will continue to be made at existing U.S. co-packing facilities, Berardi added, but that could change over the next 24 months as A-B determines if it will make additional brewery investments that would improve its ability to produce non-alcoholic drinks. All 20 Hiball employees will remain with the company, Berardi said, and Michael Taylor, the current vice president of ABI’s North America Zone, will transition into a new role as the head Hiball and Alta Palla. He will also continue to serve on the board of directors for Craft Brew Alliance, which is 31.6 percent owned by A-B, but that position could be re-evaluated, Castro Neves said.